As the name would suggest, Classic Blackjack is the variant that is closest to the “original” blackjack that has been played across casinos on the Las Vegas Strip for decades, before casinos started adding more card decks and rules to lower the payouts. Therefore, it is one of the best titles to play looking from the player’s perspective. While the rules are quite easy to follow, the game also features very low house edge, giving gamers a very good chance of beating the house. Most variants are played with a single deck of cards, which seriously decreases the house edge, while multi-hand gaming is just perfect for seasoned casino enthusiasts. And with wide array of table limits designed to accommodate different types of online gamers, Classic Blackjack could easily become one of your favorite online blackjack games. 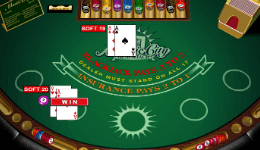 While many blackjack variants played in online casinos use various unique rules which alternate the strategy and take time to get used to, Classic Blackjack, as the name implies, is the “basic blackjack” game. Blackjack went through many changes over time; most of them weren’t in players’ favor. 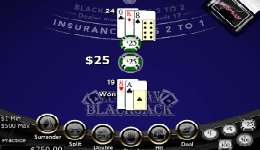 Classic blackjack takes a few steps back, making it one of the most rewarding options in terms of winning odds. It’s important to notice that the common game played across landbased and online blackjack sites and referred simply as Blackjack is played usually with 4-8 decks and is not Classic Blackjack. Granted, the house still has an edge over the players, but the theoretical return to player percentage is significantly higher than in other blackjack titles, obviously provided you follow the basic strategy. The single deck in use and the fact that dealer must stand on soft 17 are the two most important rules, while all the others are also outlined below. Due to the very low house edge, Classic Blackjack is one of the best blackjack games you can find on the web, but make sure to only play games that use single deck of cards, since there are some versions played with 2, 4, 6 or 8 decks. 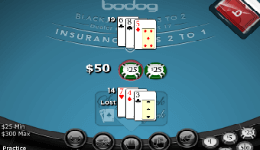 This is one of just a handful of blackjack titles that allow multiple cards to be dealt to split Aces, so make sure to always use the split option when Aces are your first two cards. However, bear in mind that the hand will automatically stand after doubling down, so only use said option when you are in a much better position than the dealer. Taking some time to learn the basic strategy can go a long way as you will only stand a good chance of winning if you always make the right moves, and basic strategy is designed solely for that purpose. 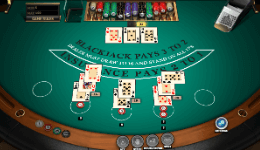 The standard Blackjack rules outlined above apply to most versions of the popular game, but you should always take some time to check the rules of individual variants to ensure there are no major deviations that could ultimately hurt your winning prospects.